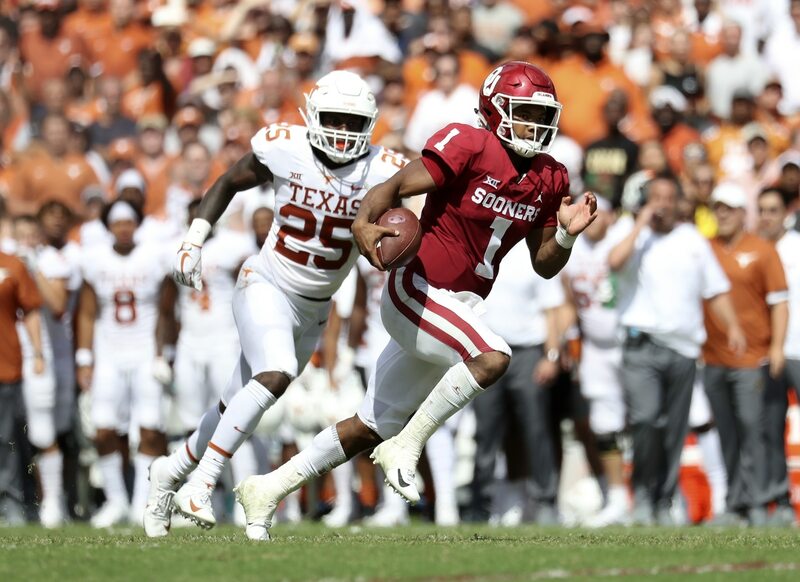 Kyler Murray made waves on Friday during interviews prior to Saturday’s Heisman Trophy presentation when he said he wanted to play in the NFL and MLB if possible. A player who has exploded on the national stage this year, Murray has the kind of talent NFL scouts drool over. It’s possible his change of heart — Murray previously had said he was going to play just one year of college ball and then commit to the Oakland Athletics — has everything to do with how the NFL sees him. Given the success we’ve seen from diminutive, athletic guys like Baker Mayfield and Russell Wilson, it’s not hard to see how Murray is viewed as a first-round talent now. The NFL is more and more becoming favorable toward quarterbacks who can move, and Murray has the kind of quickness that will translate to the next level. Even better, he makes NFL-caliber throws and reads on a regular basis (like this). Though he already has a big-money contract in hand with Oakland in MLB, Murray might look at the kind of money he would earn on his first NFL contract — Mayfield got over $32 million guaranteed — and decide it’s worth it to pursue football. It’s going to be fascinating to see what this young mad decides. He’s the betting favorite to win the 2018 Heisman and has his Sooners in the College Football Playoff. So his stock can still rise before the draft.